Crab Apple Profusion is a small fast growing tree. Its deep, wine red coloured flowers appear in spring, turning a lighter pink over time. The young foliage emerges copper-crimson turning bronze-green as the summer progresses. The fruits are very small and blood red in colour. 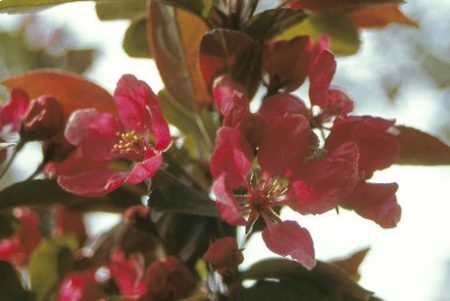 Like most Crab Apples, Malus profusion will tolerate most soil conditions including clay.